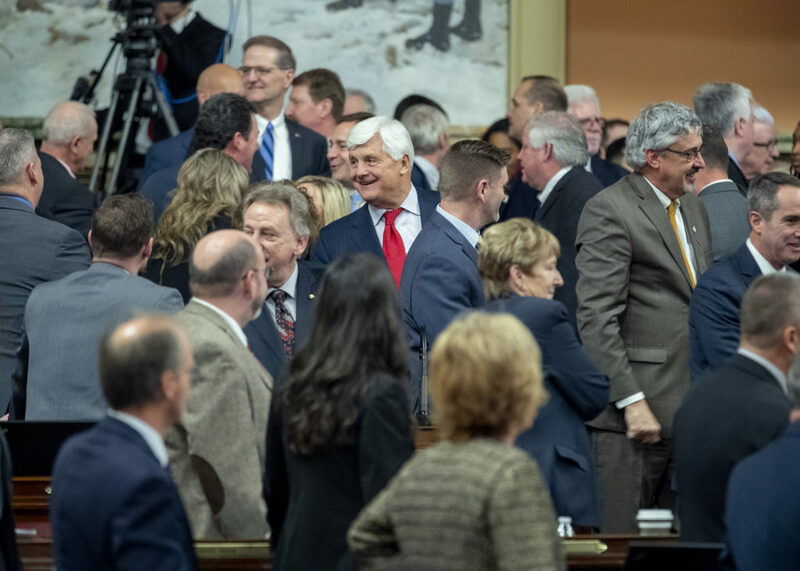 The Senate will carefully study the $34.1 billion state General Fund budget for Fiscal Year 2019-20 unveiled by Governor Tom Wolf on February 5 before a joint session of the General Assembly. The Governor is requesting a $166 million increase in Basic Education Funding ($6.53 billion); a $50 million increase for early childhood education (Pre-K Counts, $232.2 million and Head Start, $69.1 million); and a $50 million increase in special education funding ($1.19 billion). The State System of Higher Education would see a $7 million increase ($475.1 million). I am looking forward to carefully reviewing the budget and doing what is best for our district. I am looking forward to reviewing the Governor’s proposal while working with my colleagues to ensure that we continue to provide historic levels of education funding, a strong environment for job creation and a path of economic growth for our Commonwealth. A measure to strip taxpayer-funded pensions from public employees who commit job-related felonies was approved recently by the Senate. Senate Bill 113 would require pension forfeiture if a public employee or public official is convicted, pleads guilty, or pleads no contest to any felony offense related to his or her employment. The Public Employee Pension Forfeiture Act currently only requires pension forfeiture for certain crimes. Therefore, lawmakers and other public employees will plead guilty to a non-forfeiture crime in order to avoid losing their pensions. I am proud to be working with my colleagues on a bill that will amend the State Constitution to extend the States property tax exemption program for disabled veterans to the surviving spouse of a soldier killed in action. The existing programs guidelines allow the property tax exemption to be transferred to the surviving spouse of a totally disabled veteran when her or she passes away, but it does not allow the exemption to be given to a spouses of those killed in action. This bill will correct this inequity by extending the property tax exemption to deserving widows and widowers of those soldiers and airmen killed in action. Individuals with qualifying disabilities and their families may save for a wide range of disability-related expenses through state-offered savings and investment options authorized under the Pennsylvania Achieving a Better Life Experience program (PA ABLE), according to the PA Treasurer’s Office. Individuals with a disability and their families are encouraged to save funds to support their loved one’s health, independence, and quality of life without affecting eligibility for state or federal means-tested benefits. Six of seven investment opportunities include conservative to aggressive Asset-Allocation Options. The seventh option is a FDIC-insured interest-bearing checking account with a debit card. See Frequently Asked Questions for answers regarding eligibility and qualified expenses. Between 2011 and 2015, portable and stationary space heaters accounted for 43 percent of home heating fires annually and 85 percent of home heating fire deaths across the country, according to the National Fire Protection Association. The Pennsylvania Office of the State Fire Commissioner (PA OSFC) warns that wood stoves and fireplaces are responsible for 36 percent of home heating fires. Keep your family safe this winter with home fire safety tips from the PA OSFC.